Troma Entertainment recently released information for their new streaming service Troma Now. The service will feature Troma classics, new Troma releases, and exclusive content, all in beautiful HD. Subscription price is $4.99 per month. Greetings from Tromaville! 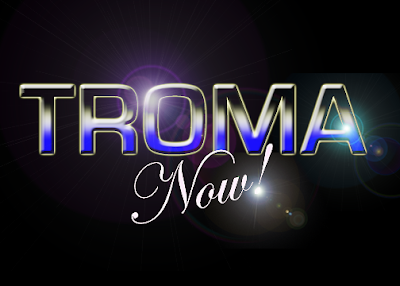 Troma Entertainment is thrilled to announce the new TROMA NOW channel, available through VHX. Starting today, Troma fans, both old and new, can subscribe for only $4.99/month and get access to many hours of Troma classics, new Troma releases, and exclusive content, all in beautiful HD. The roll out slate includes such classics as Troma's iconic The Toxic Avenger, Tromeo & Juliet (written by James Gunn), Monster in the Closet or Sizzle Beach U.S.A. with Kevin Costner, along with first-run films like the critically-acclaimed and hilarious The Slashening and Fear Town, USA. Troma Now also feature episodes of Troma's Edge TV and The Chainsaw Sally Show, as well as the entire first season of Sgt. Kabukiman's Cocktail Corner. But not only expect to find the classic Tromastic sense of humor, Troma NOW also features every kind of genre, like romantic comedies such as Lollilove (Jenna Fischer) and documentaries like Fart of Darkness. Many of the titles come with supplemental features including commentaries, behind-the-scenes footage, interviews and many more special Tromastic extras! Visit http://watch.troma.com/ for the best Troma viewing experience ever! !